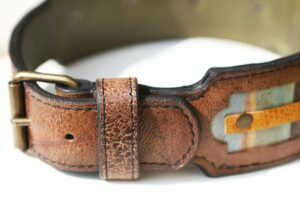 When we promote Sauri’s handmade dog products as heavy-duty dog collars, leashes and harnesses we think of the quality of materials used and we think of the quality of the craftsmanship. 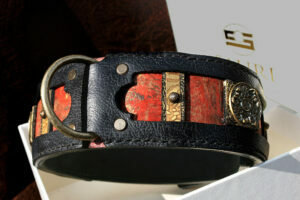 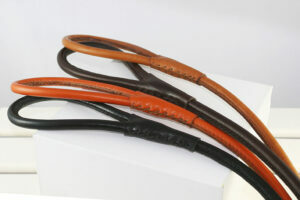 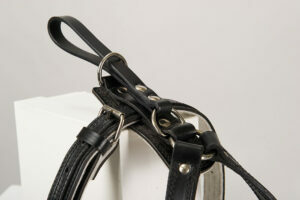 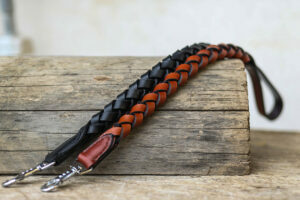 A heavy-duty dog collar is one that is going to be the same or eventually more beautiful when used daily. 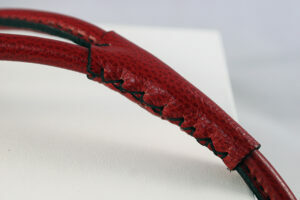 The key of such quality is a hand stitching process. 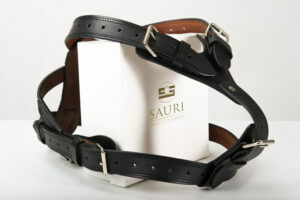 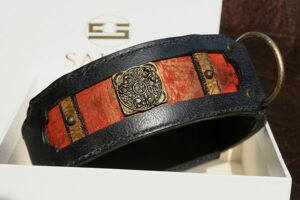 Sauri’s dog collar will be as firm as the day you bought it even after years of everyday use. 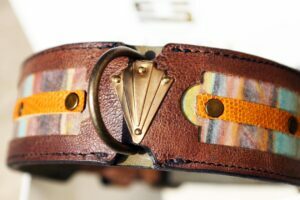 It is not going to unstitch. 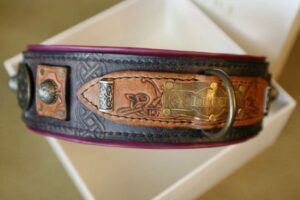 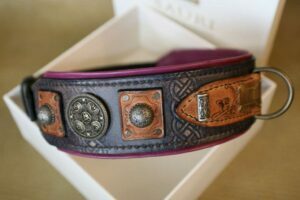 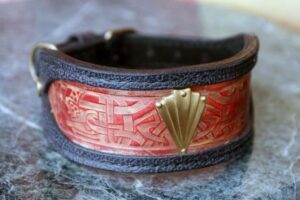 You should not soak it with water, beacuse it is a leather dog collar and leather would become stiff, but ornaments are safely and securely attached to the leather surface, and dyes are also there to stay. 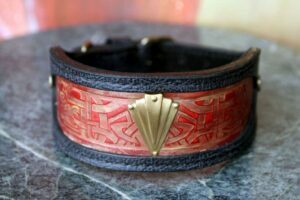 When making dog leashes we have some know how’s that our master craftsman teached us and our leashes do not change with daily use.